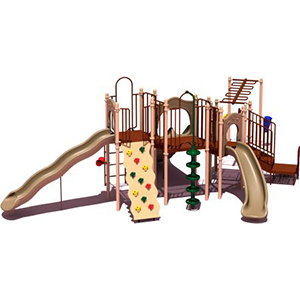 The Brooks Towers play structure is perfect for children between the ages of 5 and 12 years old. 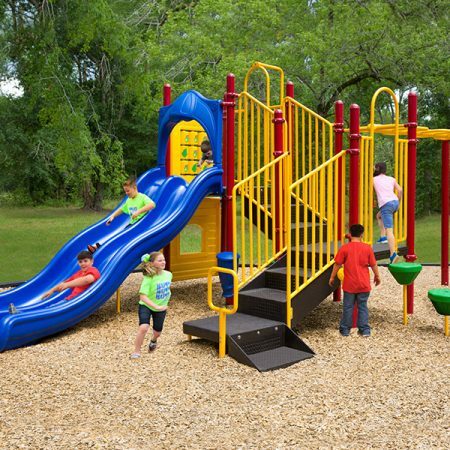 It is built to hold a maximum of 42 to 48 children. 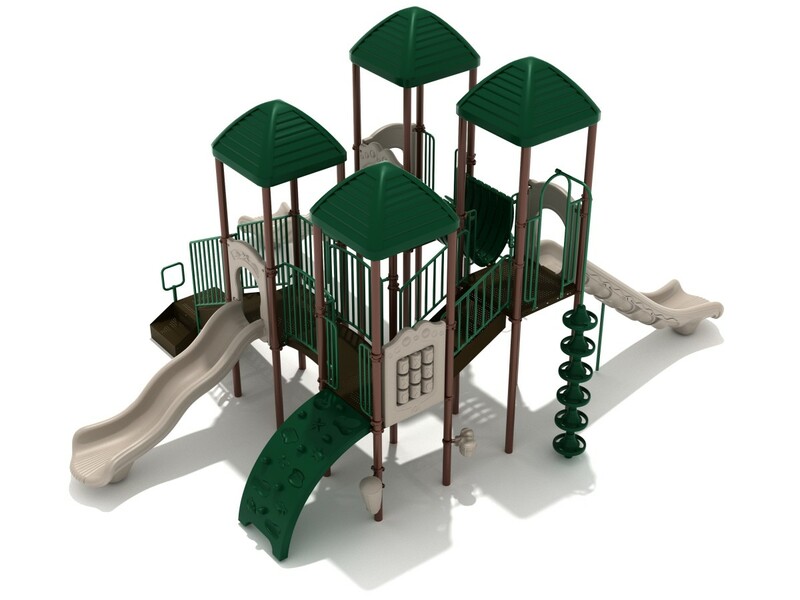 It has a fall height of 6 feet, and its safety zone is 34’x 39’ 2”. 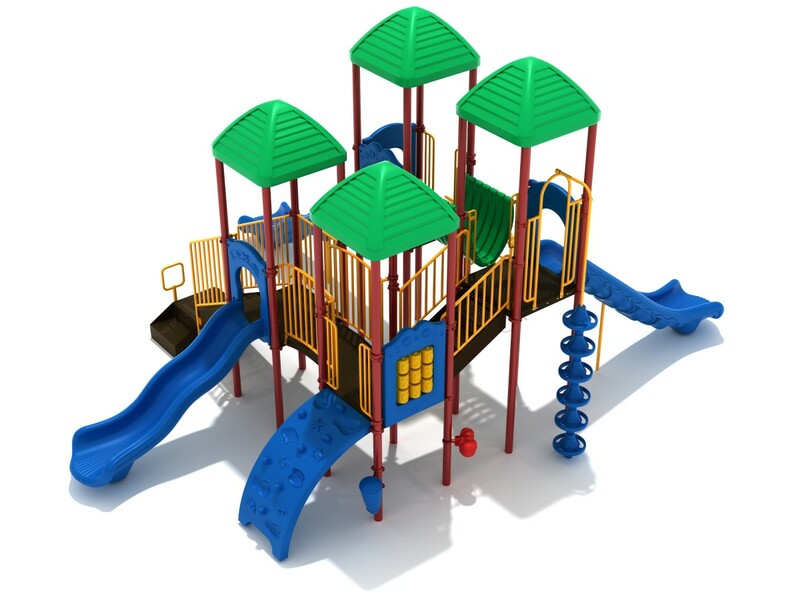 This play structure comes in either a neutral color palette or a primary color palette. 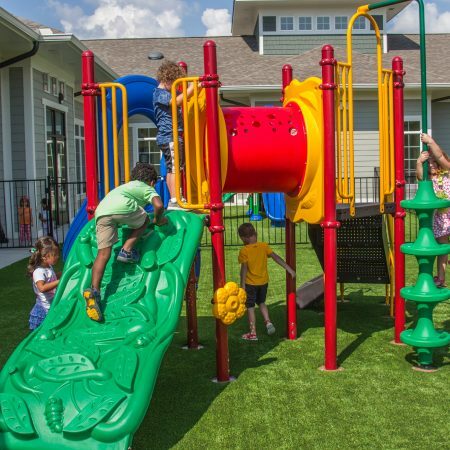 The Brooks Towers play structure is perfect for children between the ages of 5 and 12 years old. 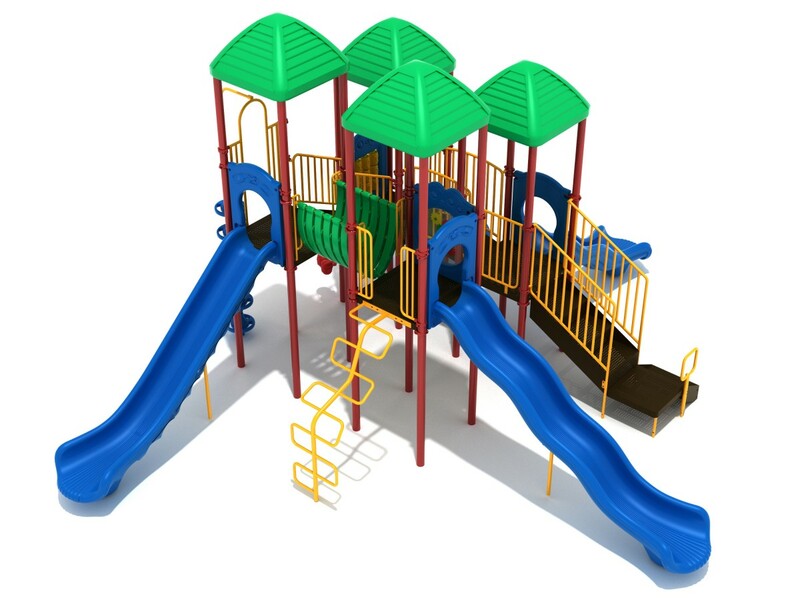 It is built to hold a maximum of 42 to 48 children. It has a fall height of 6 feet, and its safety zone is 34’x 39’ 2”. 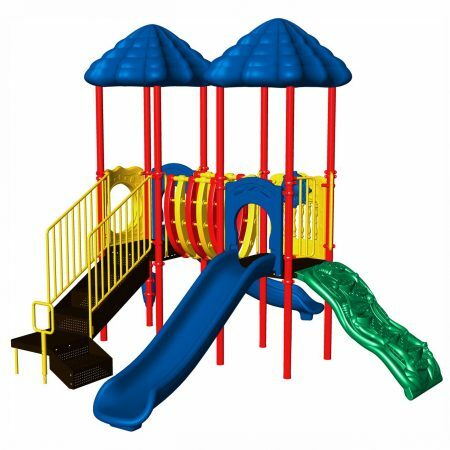 This play structure comes in either a neutral color palette or a primary color palette. 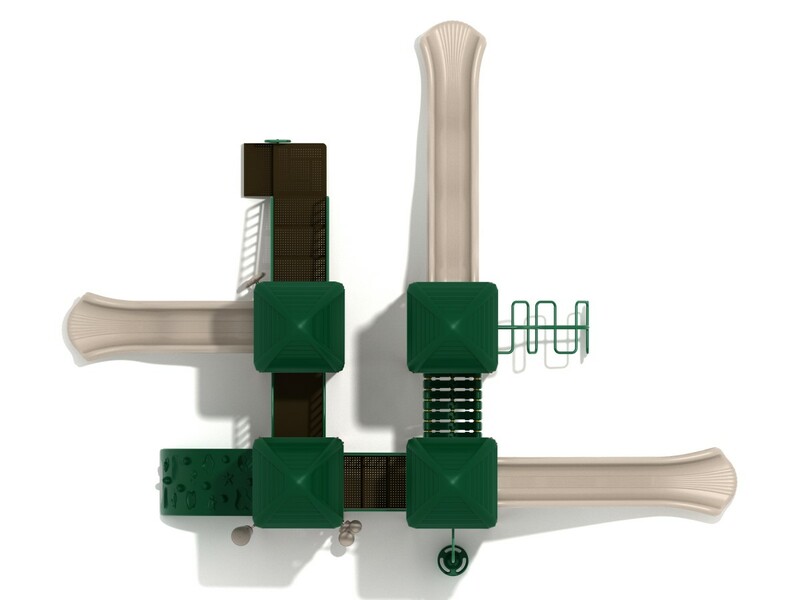 The neutral color palette consists of tan, brown, and green. The primary color palette consists of yellow, red, blue, and green. 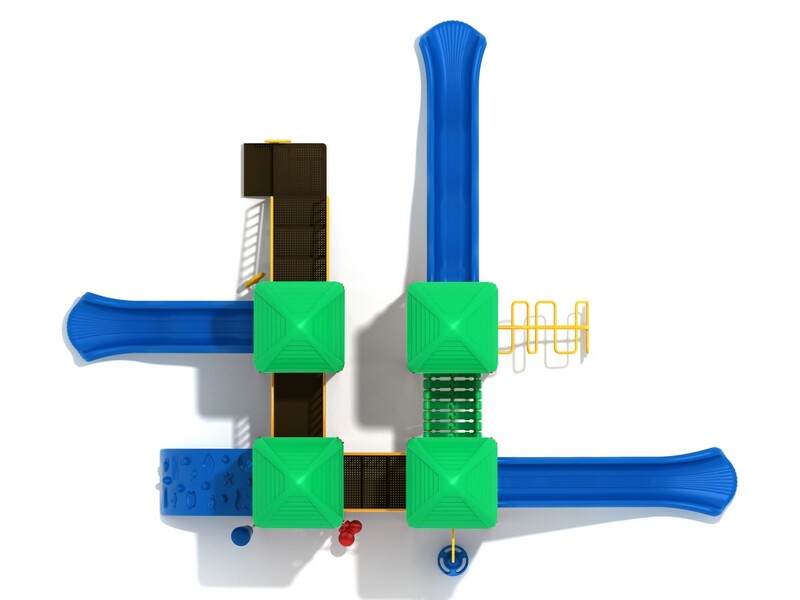 The Brooks Towers play structure has a snake climber, a pod climber, a sea creature climber, two wave slides, a straight slide, a bones bridge, and a mini arch bridge. It comes equipped with a gear panel, bongos, a tic tac toe panel, a single drum, and a rain wheel. Line roofs offer shade.